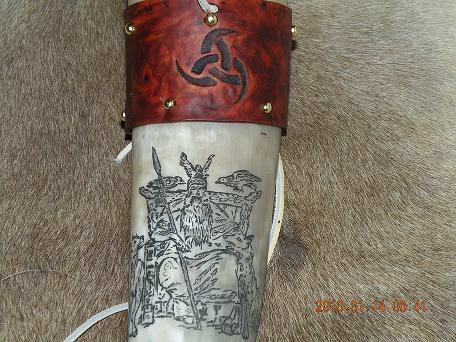 We can customize the horn that best fits your Viking spirit. 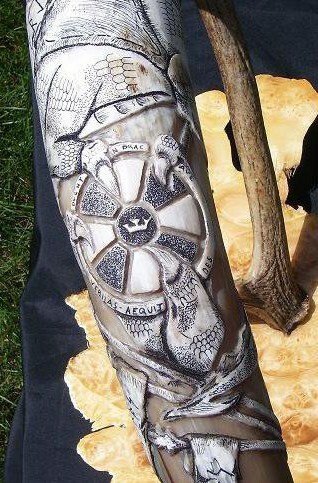 Toward the bottom you will notice that there are the different types of custom horns that we create. At the top, you can see some of our best horns from our proud customers. They gave us the idea and they gave us the time. In return we gave them a horn that reflects, and in some ways, goes beyond what they asked for. Our most poplar designing style is the engraved horn. Turn a plain horn into a truly magnificent work of art with an engraved carving ov your choice. With each horn being a different size and shape, they also take the most time. We enjoy giving our Viking friends a horn that truly accents "Them". From a simple etching to a full depth 3D, and some times mixing both, you can get the most out of what each horn has to offer. 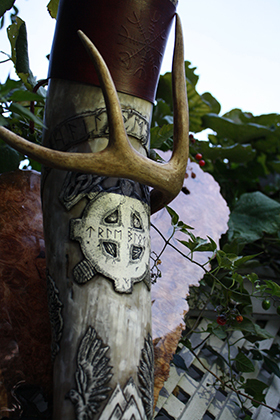 Each engraved horn is a piece of art that accents the Viking inside of you! 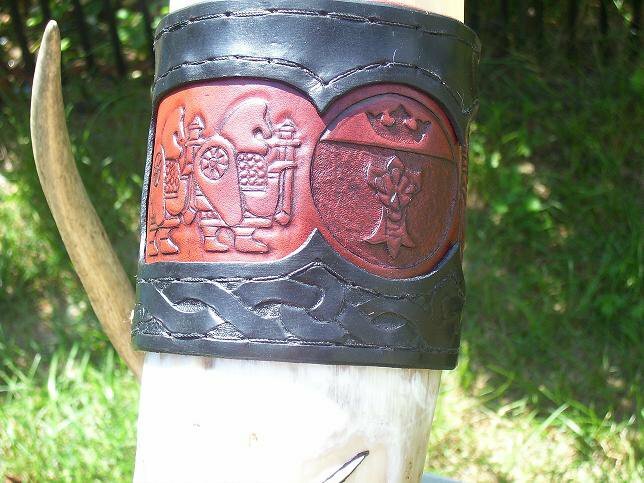 Leather toolings can be added to any horn with leather cuffs or a frog. 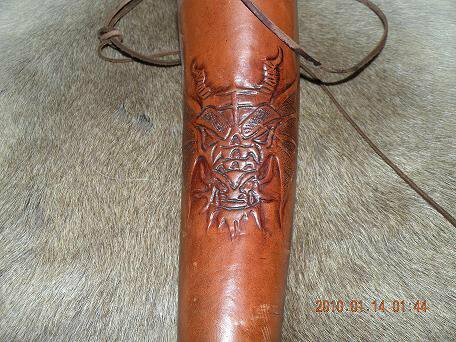 Most horns come with leather cuffs but fur is available upon request. 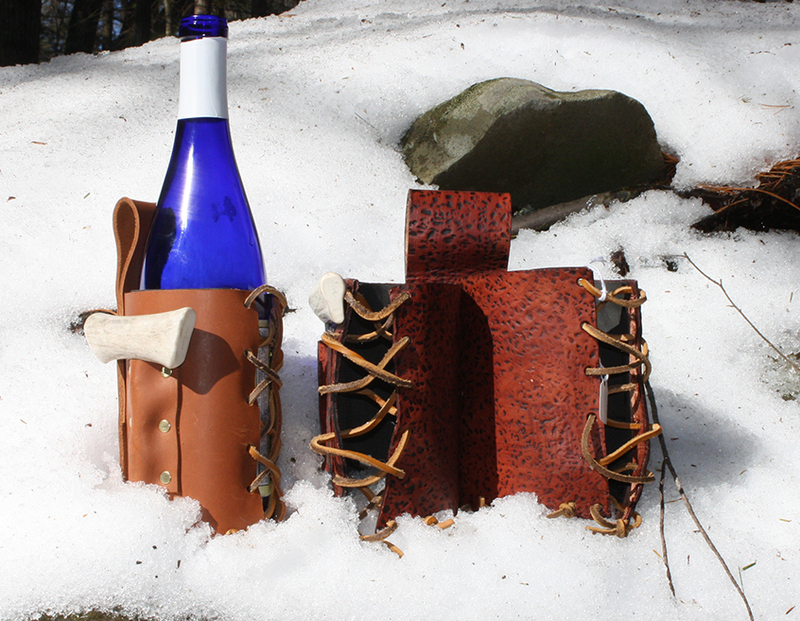 Not only can your leather be tooled on horns, but some tooling can also be done on the mess-kits. If you have an idea on a certain type of tooling that you would like, please feel free to let us know and we will do everything possible to give you the design you are requesting. Please contact us with a request on the type of tooling you would like to discuss price. 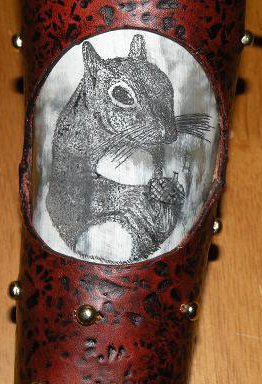 Much like tattooing, scrimshaw is done with needle to penetrate the horn then ink is used to stain the design into the horn. 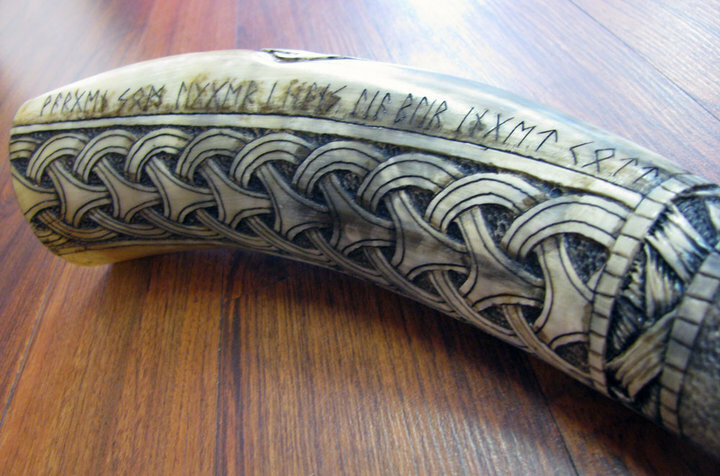 Although scrimshaw does not show as much depth as a engraved horn, certain details can be added with scrimshaw that may appear to bulky if engraved. 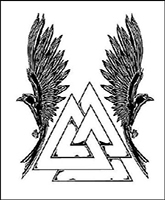 If you are interested in scrimshaw and are not sure if it would be good for the image you have in mind, feel free to ask.